Next Wednesday will see one of Mrs. 17 Seconds’ favourite bands coming to Glasgow. 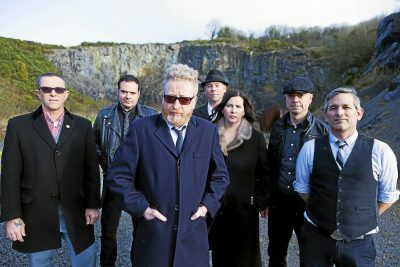 Flogging Molly – for it is them – headline the Fireball tour, which also features The Bronx and Face To Face, at the Glasgow 02 Academy on December 5. If you haven’t heard Flogging Molly before, then their combination of punk and Irish folk has parallels with the likes of Dropkick Murphy’s and The Pogues, but there’s something pretty distinctive about them. If you haven’t heard them before, give them a listen… I can’t find original videos but to be honest this is a band you want to get up and dance to, rather than sit watching! This entry was posted in Flogging Molly by Ed. Bookmark the permalink.